If you or a loved one has been injured in an automobile accident, contact Caras Law Group today for a free consultation and case evaluation. Dean Caras and his associates are experienced car accident lawyers in Chicago and the surrounding area, and will work to help you recover expenses from your loss. Nearly 3 million people are injured each year in the United States as a result of motor vehicle crashes. Over 42,000 are fatalities. Victims of motor vehicle crashes are divided into two categories by the U.S. Department of Transportation’s National Highway Traffic Safety Administration (NHTSA): occupants, which include drivers and passengers of trucks, SUVs, and motorcycles, and non-motorists, such as pedestrians and bicyclists. According to NHTSA data, in 2001 motor vehicle crashes were the leading cause of death for 2-year-old children, and all people ages 4-33 years old. A person who negligently operates a vehicle may be required to pay for any damages, either to a person or property, caused by his or her negligence. The injured party, known as the plaintiff, is required to prove that the defendant was negligent, that the negligence caused the accident, and that the accident caused the plaintiff’s injuries. ​A driver may also be liable for a motor vehicle crash due to his or her intentional or reckless conduct. A driver could be found reckless, for example, if he or she drives in a threatening or harassing manner out of “road rage” and causes an accident. Being involved in a motor vehicle crash can be a difficult and traumatic experience, and may require the guidance of an experienced attorney. 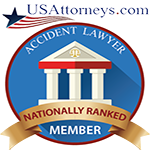 At Dean Caras and Associates, we have years of experience successfully representing those who have suffered significant injuries in motor vehicle crashes. We work with doctors, other health care providers, traffic investigators, and a variety of experts to evaluate the fullest extent of recovery available to car accident victims and their families as well as the various theories of liability that enable those victims to collect from the parties who caused them harm. If you or a family member have been injured in a motor vehicle crash, we are available to answer your questions. Please send us an inquiry by email or call us. 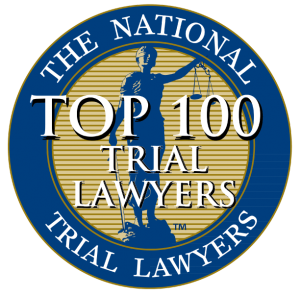 ​Wrongful Death – $1,000,000 verdict for the family where a 65 year old was fatally rear ended while driving on the interstate by a driver on a cellphone. 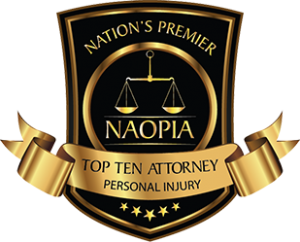 ​Automobile Accident – $550,000 award for a automobile accident where a 17 year old driver sustained a fractured tibia when an oncoming vehicle failed to yield when making a left hand turn and collided with his vehicle. ​Automobile Accident – $450,000 for 57 year old man that was tboned at an intersection in Glenview by a minivan that ran a red light. The accident was captured on a dash video camera that proved that our client had the green light. He sustained injuries to his lower back that required surgery. ​Automobile Accident – $450,000 to 43 year old computer software sales who was rear ended on the Kennedy expressway , resulting in a herniated disk in his neck that required surgery and a traumatic brain injury that limited his ability to work. ​Automobile Accident– $275,000 for a 27 year old female passenger of a taxicab in Chicago that was rear-ended. She sustained a fractured kneecap which required surgery to repair.